Anne and I went to Point Lobos on a rare stormy summer day in Monterey. 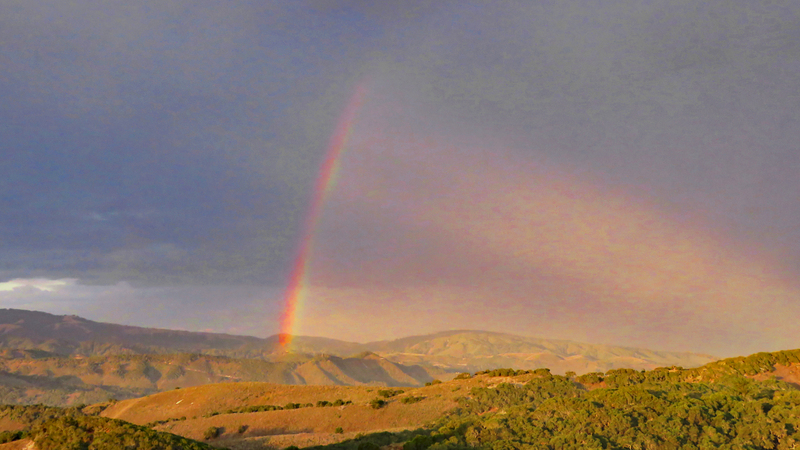 We awoke to thunder and saw a rainbow over Carmel Valley, but these storms didn’t last long. Dad took us to Costco and we got fixings for dinner. It looked like it would be a hot one and it was near ninety, driving back to the house. Later though, down by the coast it was only in the seventies. There are so many micro-climates around here. We love Point Lobos and apparently so do a lot of other people too. It was high tide when we arrived and the day’s thunderstorms had kicked up the surf. So there was lots of wave action and our tide-pooling was somewhat limited, but we did see a fair number of crabs. Out to sea whales were breaching and spouting and I managed to photograph one. 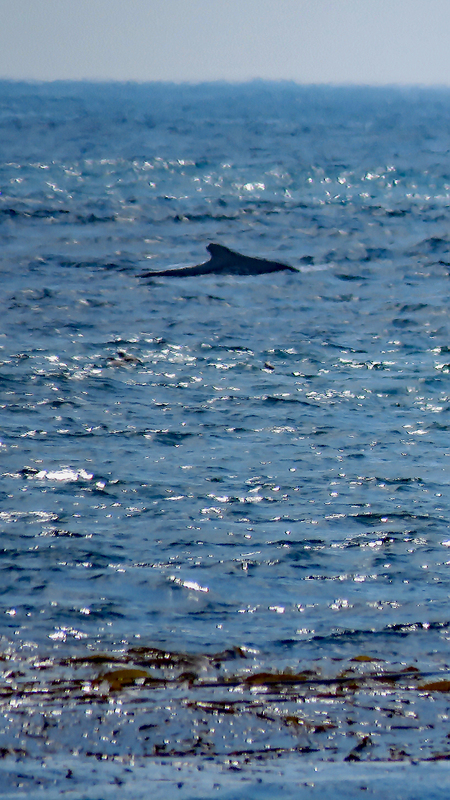 It was pretty far away and try as I might, by singing to them, I couldn’t lure them closer into shore. Another round of T-storms descended upon us. This time with some serious rain that cut short our stay at Point Lobos. On the way back, we stopped in at Carmel-by-the-Sea and Anne hit another yarn store there. This one was guarded by Boomer, one very fat cat. 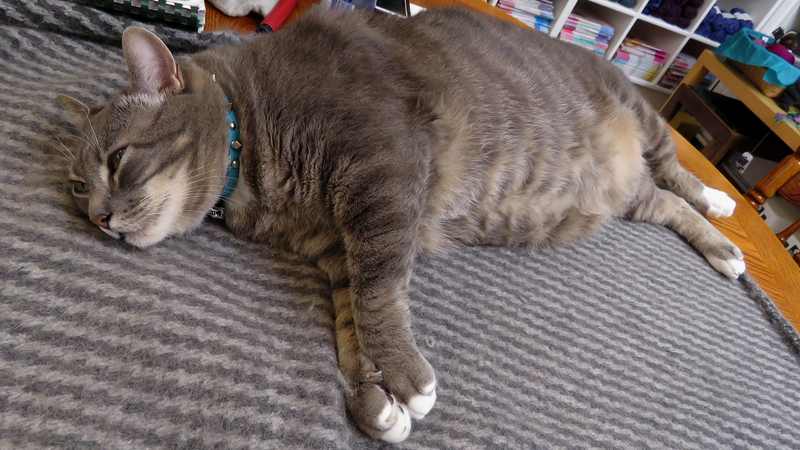 He is seen below in his ‘attack’ position. The proprietor was concerned that all of the day’s lighting would spark wildfires and she was right. The next day’s paper had as its headline a rundown of all of the fires that had been started by the storms. They were all small and easily controlled though. At night the storms continued across the bay, over Santa Cruz. I tried to get a photo of them, but to no avail.